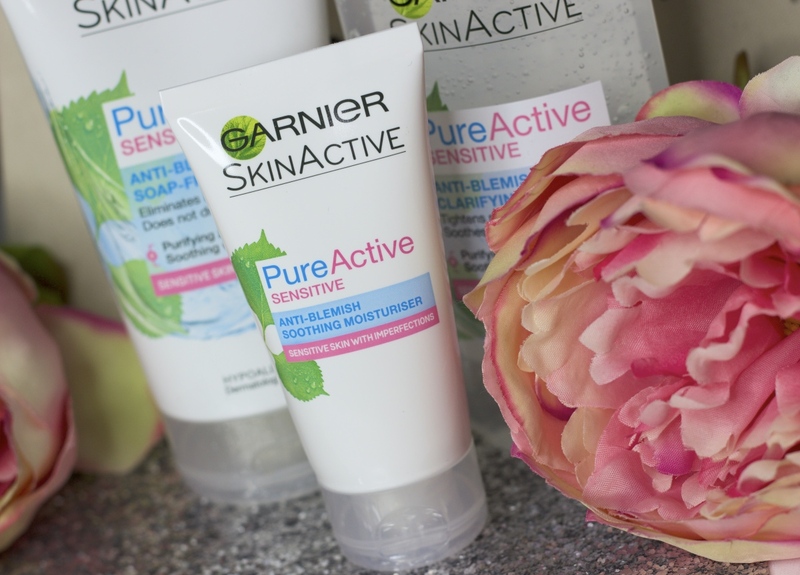 Introducing the all new Garnier Pure Active Sensitive range. Skincare is really important, I love makeup (of course!) but good skincare and good skin makes all the difference when wearing makeup. 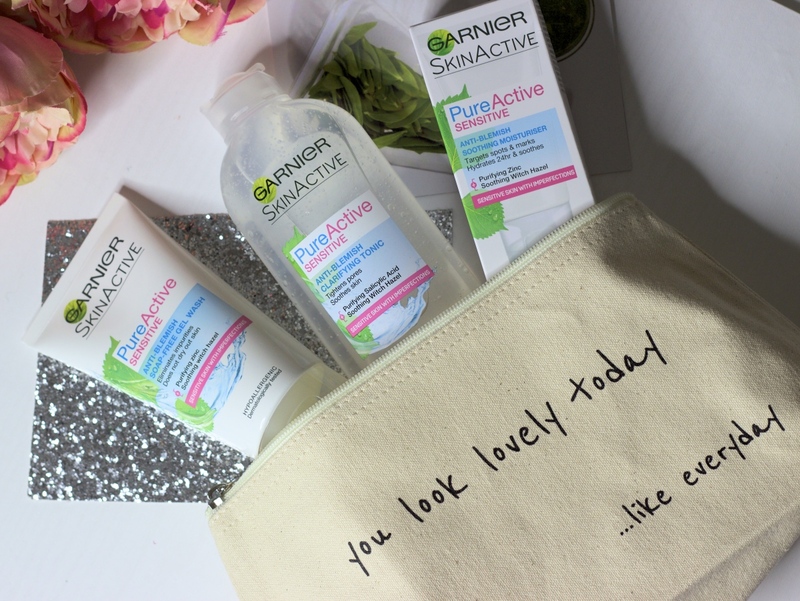 The right skincare regime can counteract breakouts, signs of ageing and the general wellbeing of your skin. 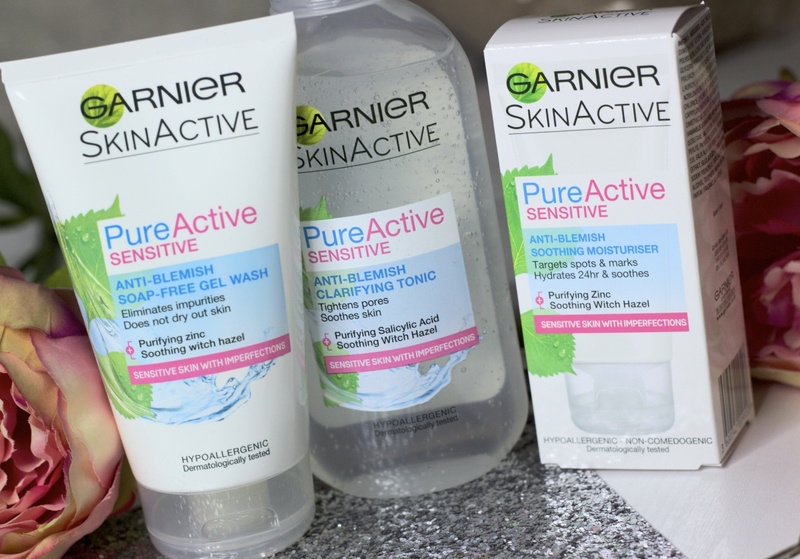 The new Garnier Pure Active range makes an easy 3-step skincare regime. 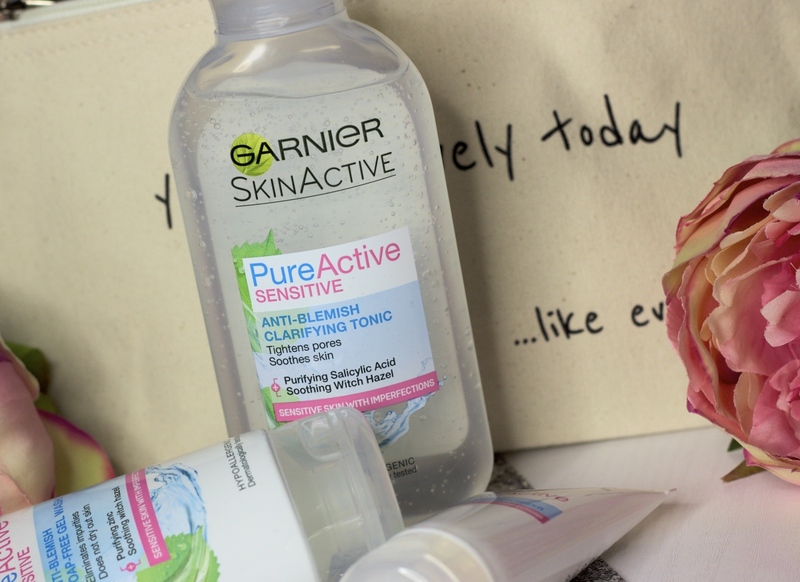 Starting with the anti-blemish gel wash, it is not foaming so does not dry out the skin. It is gentle, soothing and refreshing, cleaning the skin ready for the day. It does not fully remove makeup so it is a good idea to use a proper makeup remover first. It is soap free but still has a gentle scent which I love. The clarifying tonic is a lovely gel like texture and it feels so lovely on the skin! I love using this, you know when you look forward to using certain products? This is one of them. The moisturiser is lovely too, it is a fuss free lotion like texture and absorbs into the skin well. It moisturises well without feeling heavy on the skin, it is made to particularly target spots and marks so I love using it as a night cream and really lather it on so it can work its magic through the night.